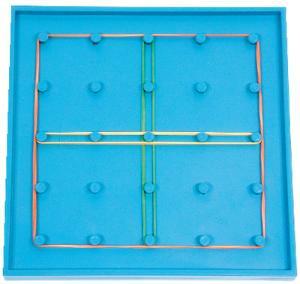 Double-sided, blue boards have 5 x 5 pin conventional square on one side, 13 pin circle with radius and diameter pegs on the reverse. 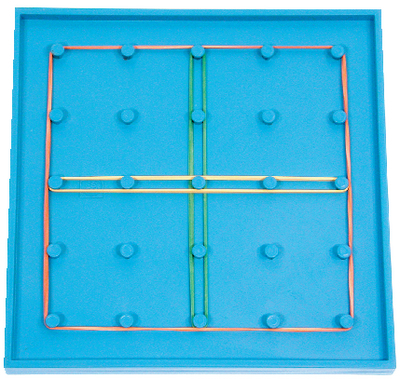 Geoboards feature protected umbrella shaped pinheads. Size: 13cm.